This durable Dock Edge ladder is ideal for sure-footed access to and from the water or boat and has a 400lb. load capacity. 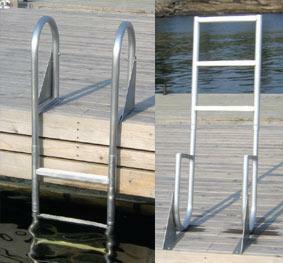 This is a 3 step ladder and is an attractive addition to any marine application. Easily flipping up and out of the water when not in use, it is easily secured in the up or down position with a handy retainer pin.